Guess what I tried a couple of weeks ago? Yep, I got aproned, masked, gloved up to have a go at yarn dying and oh my, be still my beating heart because I have a brand new love in my life. I've wanted to try yarn dyeing for ages now, but was always pretty apprehensive - the potential mess, the potential failure, the potential waste of a day. But thankfully I was wrong on all counts and now I want all the undyed yarn and all the dyes. I got my beginners dye kit from Doodlestop, which you can find here. This was a great beginners kit as it included an instruction guide, everything you need - including citric acid, two superwash merino/nylon skeins and a sock blank in the same fibre content. On the advice of Amy from Stranded Dyeworks, I purchased additional colours from Jacquard Dyes. 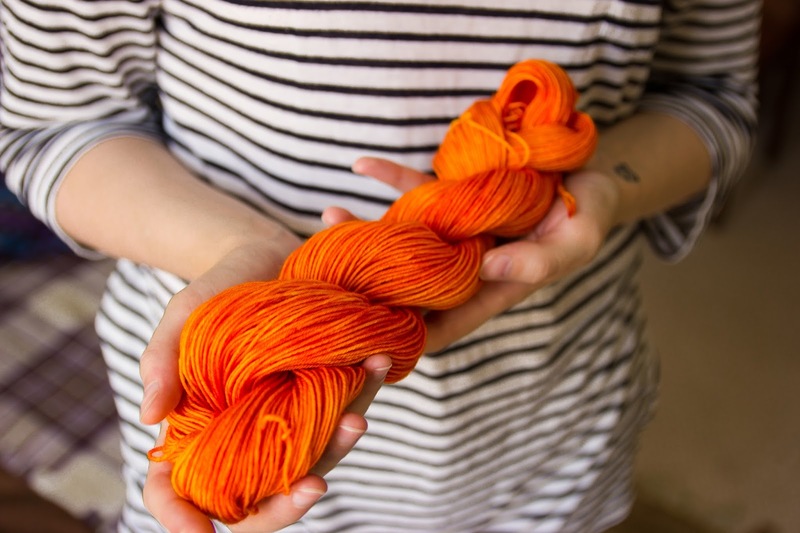 I have to admit that my attempt at variegated yarn didn't really work out - I was aiming for a more defined yellow and pink with a dash of orange and instead I ended with the shocking tonal orange pictured! Based on that experience, I tried something a little different, which ended up with a slightly less shocking shade of orange. And I wasn't the slightest bit mad about it. It would have been easy to be miffed that I hadn't achieved what I set out to dye, but I was kind of resigned to the fact that it probably wouldn't work out on my first attempts. I'm not sorry I went in with a strong idea because I'm still determined to figure out how to dye up that colourway - learning by doing is the best way for me and it's just so much fun. I'm now reading Hand Dyeing Yarn and Fleece by Gail Callahan to learn about other techniques I could try; adding various luscious Jacquard colours to my Amazon wishlist; browsing online for good undyed yarn stockists (any recommendations - please let me know!) and watching even more how-to videos. 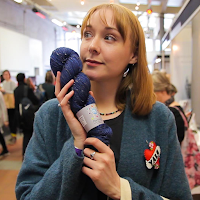 I love how free so many indie yarn dyers are with their knowledge - from answering my tweets to creating videos. 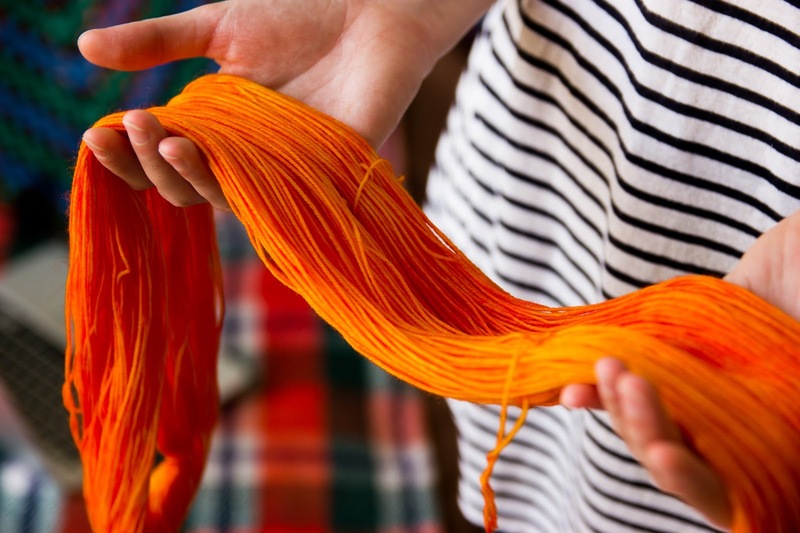 I can't think of many other communities where indie business owners would be so free with their knowledge - but that is what is so wonderful about our fibre community. We welcome people, we share knowledge and we do so knowing that there is enough for everyone. I can't wait to share more of my dyeing with you. I am by no means an expert, but I love to learn and am looking forward to sharing what I make and the resources that helped me.